Many people associate the month of October with one of our most popular holidays, Halloween. In the disaster restoration industry, we also associate this month with fire prevention as October is the annual Fire Prevention Month. It seems fitting that Fire Prevention Month is the same month as Halloween because many common Halloween decorations are potential fire hazards. Jack-o-lanterns and candles are a major fire risk, especially if they are near decorations such as hay bales and dried cornstalks that can very quickly and easily ignite. The potential danger of these fire hazards becomes even worse when you consider that many neighborhoods will have trick-or-treaters walking between decorated homes wearing bulky costumes. Costumes, jack-o-lanterns, and trick-or-treating are what make Halloween fun, and it is important to exercise fire safety to keep the festivities fun and safe. According to FEMA, over 10,000 fires were reported between the dates of October 30 and November 1 from 2011 to 2013 which resulted in more than $80 million in property damage. The majority of these fires took place between the hours of 5 and 7 pm which is usually the peak time for trick-or-treating. This is a terrifying statistic that reaffirms the need for effective fire safety and prevention on Halloween. Flammable decorations are always a major cause of fires near certain holidays and especially with Halloween decorations, you must take precautions to help reduce this risk. The good news is that many common causes of Halloween fires are preventable with the right fire safety precautions. Therefore, you can celebrate Halloween with traditional decorations and costumes without worrying about the risk of a fire. These fire safety tips will help you celebrate Halloween safely with your family. Put flammable decorations such as cornstalks, hay bales, and paper based decorations away from jack-o-lanterns, candles, and other sources of heat. Keep the exits of your home clear for safe evacuation in case of a fire. 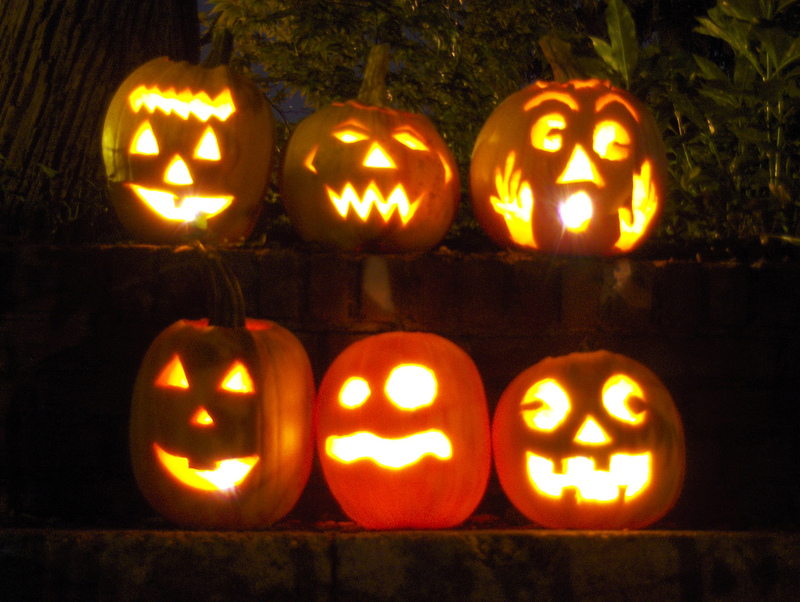 Consider using electric candles or glow sticks to light jack-o-lanterns. When using real candles, light them with a long match or utility lighter without tipping the pumpkin. You should place jack-o-lanterns with real candles away from walkways and other decorations and watch children carefully around the candles. Do not decorate your yard with torches or candles because they can be dangerous if a child brushes up against them in their costume. Do not let your child go out in a long trailing or bulky Halloween costume. Make sure you cut eye holes in your child’s mask big enough so that their view is unobstructed. Discuss these fire safety tips with your children so they stay safe as they trick-or-treat. Giving them a flashlight will allow them to light their way for better visibility. Halloween is a favorite holiday that is celebrated by children and adults throughout the United States. By following these fire safety tips, you can ensure a safe Halloween using traditional decorations. If you experience any kind of fire because of an accident with your decorations or some other reason, make sure you call a fire damage restoration expert immediately. These professionals can limit the effects of the damage and get your home back to its original condition.